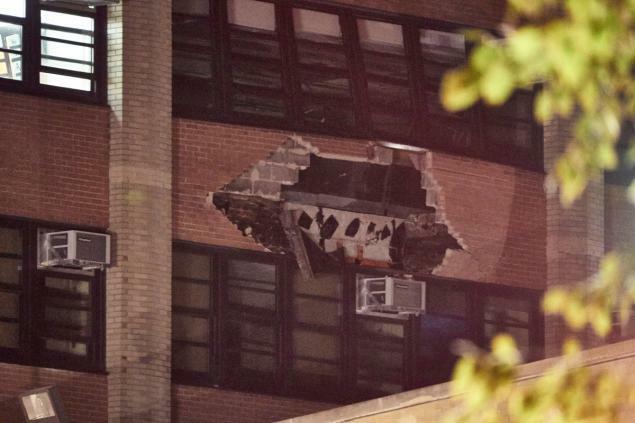 NY Daily News photo shows some of the damage to JFK High School. Well, now we know one reason why Robert F. Kennedy, Jr. is so mad at the gas industry. 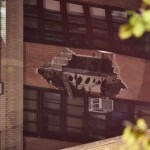 Looking back into the archives of the NaturalGasWatch.org, we find that the New York City High School named after his uncle, former President John F. Kennedy, was partially blown up back in August of 2015. The gas explosion was allegedly the result of a contractor setting off the explosion by using a blow-torch while installing new gas lines. Several contractors and plumbers suffered major burns over their bodies, one man had burns over 90 percent of his body. The Plumbers Union is demanding documents and reports from the Fire Marshall, but the City of New York is dragging its feet. What are they hiding? Or, maybe the question should be who is New York Mayor Bill de Blasio protecting? Click Here to read the whole story. Back in April of 2003, Caroline Kennedy, JFK’s daughter, visited the school named after her father. She spent the day supporting the students and faculty. By her side was another famous woman, the beautiful singer Thalia, who was named “Principal of the Day” for the school. These two high-powered women put their love into supporting that school, and we can understand how shocked they were to hear that a part of the school was blown-up due to a gas leak. It proves the point on just how dangerous gas can be, and could also explain why the Porter Ranch Gas Blow-Out is sort of personal to Robert F. Kennedy, Jr., after seeing the John F. Kennedy High School suffer so much damage. Caroline Kennedy is presently the United States Ambassador to Japan, an amazing achievement since her father, JFK, was a veteran of World War II, and fought the war as a Commander of a PT Boat. How proud would he be, were he alive today, of his daughter Caroline and his fighting nephew, Bobby Kennedy, Jr.